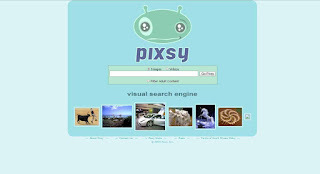 Pixsy was a multimedia search engine for image and video search. The Seatle and San Francisco based search engine worked from 2005 to 2008. Pixsy was developed by Chase Norlin and Rich Lerz. In addition to its own site, Pixsy provides image and video search for many other search engines such as video search for Mamma and video and/or image search for Veoh, Lycos, PureVideo and National Lampoon.